Is ‘solid waste incinerator’ the wrong description? It’s very easy to understand that someone seeing the term ‘solid waste incinerator’ could very easily dismiss it as being entirely unsuitable for their own waste incineration requirements. Actually it is the word ‘solid’ that causes the confusion, because the reality is that if the waste material is not composed virtually entirely of liquid or sludge etc, then the chances are that is classified as solid. 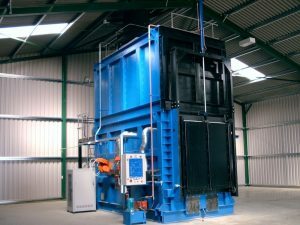 Consequently the Matthews Environmental Solutions’ waste incineration range, which comprises all the models within our Surefire® and Allburn® ranges can be classed as being solid waste incinerator technology. The term solid waste can also be applied to animal carcasses, so in fact even our pet cremation models can also be defined as being part of our solid waste incinerator range. At Matthews we have been at the forefront of solid waste incinerator design and development for a considerable number of years and it is a fact that many of today’s ‘industry benchmarks’ were originally developed by us. Whatever material it is that you need to dispose of in an efficient, cost-effective, environmentally responsible and internationally approved manner, you can be confident that you will find the perfect solution is available within our comprehensive ranges. 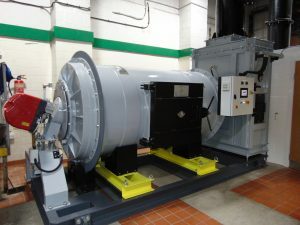 Even if you do not find exactly what you’re looking for, then thanks to our many years of waste incineration experience and expertise it means that we can easily customise existing specifications to meet your needs, or we can design and engineer individual bespoke solutions to match the most demanding requirements. Matthews’ solid waste incinerator plant is the first choice for what is an extremely diverse range of customers and their waste disposal requirements throughout all areas of the world. The types of solid wastes that are routinely handled includes: medical and clinical waste, general, industrial and municipal wastes, animal remains, hazardous wastes, plus all the most difficult to handle waste materials. 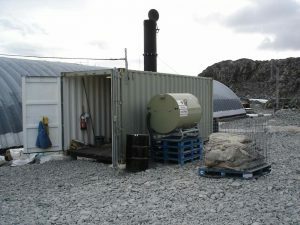 Our solid waste incinerator plant is now in regular use across every continent, including Antarctica where it was specified by the British Antarctic Survey Team to ecologically dispose of all their daily waste that is accumulated in this most protected environment. In addition to incorporating the world’s most efficient combustion systems, including hot hearth and rotary chambers, Matthews solid waste incinerator plant can be specified with the very latest and most advanced operational facilities that include: intermittent or continuous 24-hour operation, ergonomic and safety-sensitive loading systems, waste heat to energy recovery technology, the latest flue gas abatement and waste exhaust neutralisation, plus the option of mobile and static siting and alternative power sources to match geographic and economic requirements. If you would like to speak to us about your own solid waste incinerator requirements, please contact us and let us advise on how best we can help you meet all your objectives. You can call us on +44 (0)161 337 4488. You can also email us at: sales@matwuk.com or you can also send us an online message using the form that can be found on our Contact page.